For those that are planning trips for 2014. We highly encourage you to consider a trip to the Mendocino Coast of Northern California. 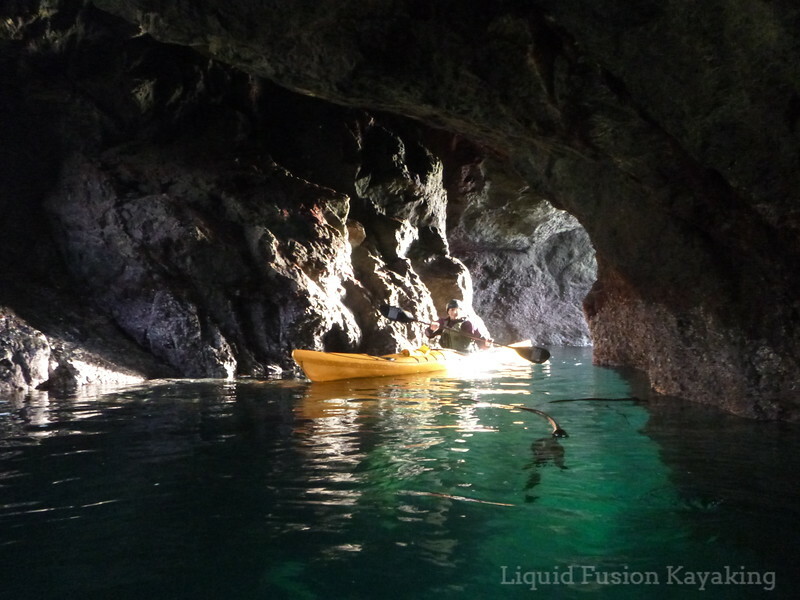 Enjoy redwood forests, a rugged rocky coastline, beaches, arts and music, small towns, mom and pop businesses, tasty local foods, bed and breakfast and family run motels, and of course quality kayak instruction. The possibilities are endless. Part of the beauty of the Mendocino Coast is it's isolation. There are no freeways or commercial airports on the Mendocino Coast but you can get here from there. 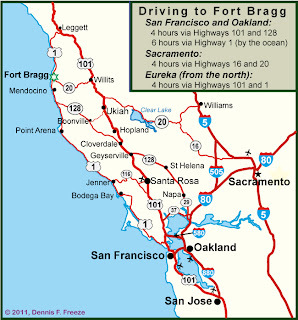 Automobiles: For those driving from the San Francisco Bay or Sacramento area, it is a 3-4 hour drive. Here's a link with driving directions. Planes and Automobiles: For those coming from farther away, consider flying into the Sonoma County Airport (STS). You can fly into Sacramento or San Franscisco, but STS is only 2 hours away. It is a low stress county airport with great service and few crowds. From STS, you can rent a car or take the Mendocino Transit Authority Route 65 Rider from the airport to Fort Bragg. Planes, Trains, and Automobiles: For those that want to make a trip to the Mendocino Coast an adventure, consider a ride on the Skunk Train. Options include hopping on at Willits and getting over the to the Coast or taking a day trip on the Skunk Train from Fort Bragg. 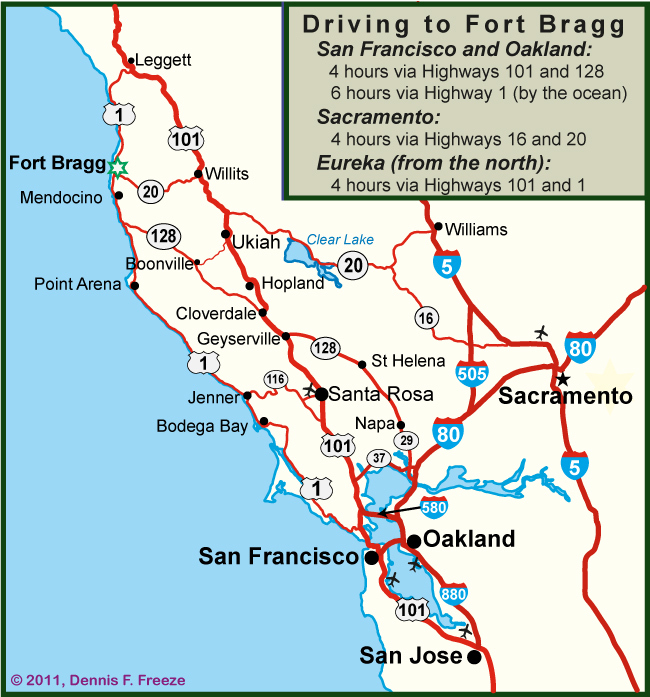 For more information on visiting the Mendocino Coast, check out Visit Mendocino and Fort Bragg.com.